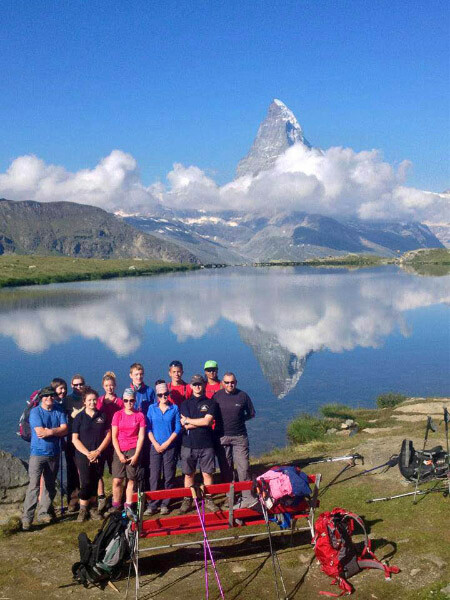 Air Cadets have successfully completed an overseas expedition in the Swiss Alps. 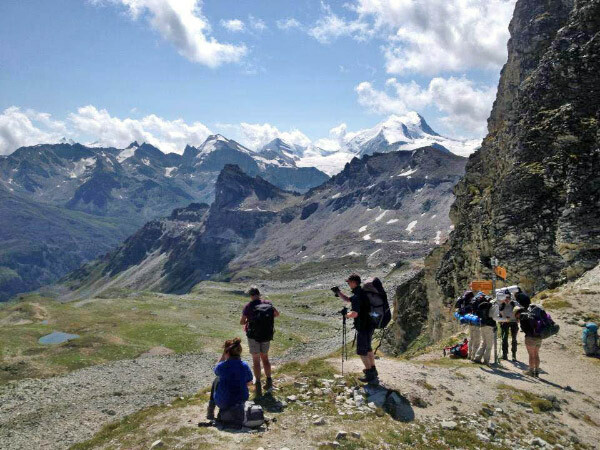 The challenging trek saw all members of the group complete part of the Chamonix to Zermatt Haute route and culminating in the ascent of Oberrothorn. 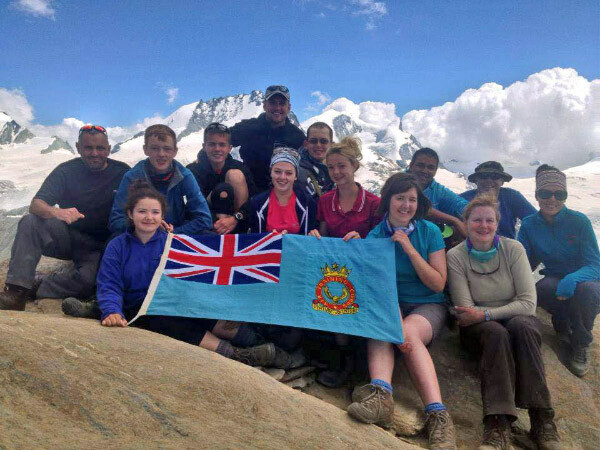 The expedition was organised by West Mercian Wing of the Air Training Corps to provide a challenging physical journey that would fulfil the Corps motto ‘Venture Adventure’. 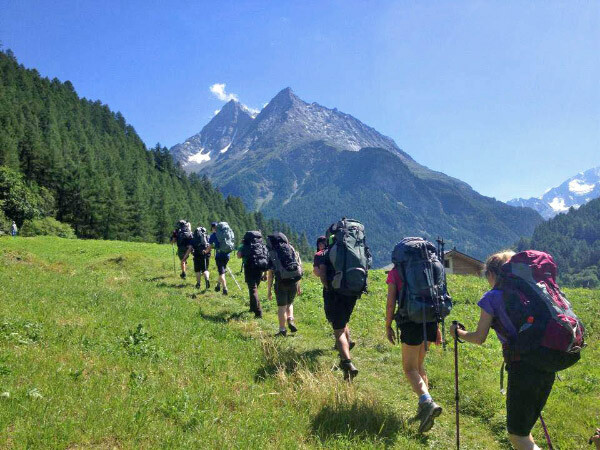 An overseas trek promised to bring new experiences to the cadet participants through culture, language and most importantly the mountain environment that would surpass anything they had previously experienced. The venture would consist of two parts; the six day trek and then the ascent of Oberrothorn. The first challenge was to get the diverse range of individuals working together as a team. This was achieved through regular emails and newsletters. The most profitable was a weekend training venture in the Peak District where the team got to know each other and importantly work together. It also proved useful for the team to find what they really needed to carry in their expedition packs. The outward journey was from RAF Cosford, via Manchester airport, to Geneva where we spent the first night. The following day we left Geneva and travelled by train to Sion and from there by bus to the start of the trek, the village of Evolene. The first leg of the trek was to La Sage, although a short day in distance, it was straight into a 300m ascent. La Sage was the team’s first experience of sleeping in an alpine hut. 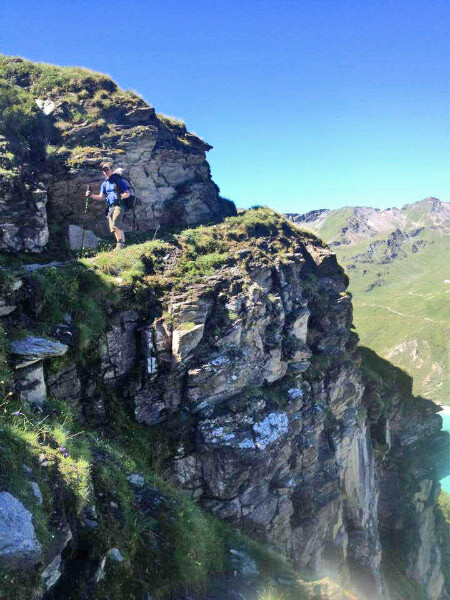 The following day, after breakfast, was the start of the toughest day from La Sage to Cabane de Moiry, a 1200m ascent to the Col de Tsate then a 950m descent to the Moiry lake followed by a 400m ascent to the Cabane at the side of the Moiry glacier. The views and experience of sleeping next to a glacier and listening to it creak was one of the experiences of the trip. The next day we set off, retracing our steps to the Moiry lake and continuing to cross over the Col de Sorebois and descending into Zinal. The next leg was the longest of the trip, most of it through woodland as we contoured the valley to the Cabane de Bella Tolla, the final ascent being felt by all the team. An evening meal of soup and cheese fondue was enjoyed by all followed by a good sleep. The following day the team crossed over the Meidpass, leaving the French speaking region and entering the German speaking region and descended to Gruben. The final leg of the trek, which was considered to be the second toughest day, started with an 1100m ascent from Gruben to the Augstbordpass, 2894m (the highest point of the trek). Then descending and contouring round the valleys to reach Jungun. The final experience of the trek was the cable car descending the 2000m to St Niklaus. Trekking phase over, we took a train to Zermatt. After a short tour of Zermatt and a brief history of the first ascent of the Matterhorn, the team had the day to explore and get souvenirs. Second part of the venture was the summiting of Oberrothorn. The team put on their much lighter rucksacks and proceeded to the underground railway which ascended the first 600m inside the mountain. The route up the Oberrothorn offered fantastic views of the Matterhorn. All reached the summit, proud of their achievements. The most important skill that came from this experience was teamwork. It was inspiring to see how individuals supported each other throughout the expedition. In conclusion we consider this expedition a great success with many of the group wanting to travel again further broadening their horizons and opening their minds to new opportunities. Squadron Leader Bill Hoe who organised the expedition commented ‘We are very grateful to the Ulysses Trust for their generous grant which helped the cadets achieve a huge amount from this expedition, none of whom had been trekking overseas before’.